/ Is Britain Committing Suicide? 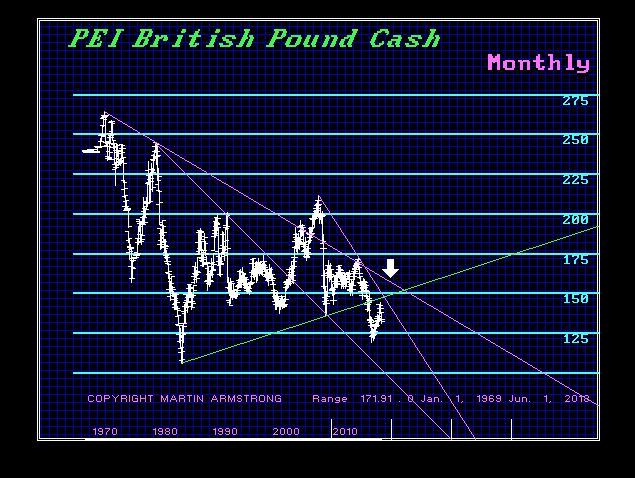 QUESTION: Mr. Armstrong, I thought you would be wrong on the pound. I will yield to your forecasts. I do not know how you do it forecasting so many things around the world and getting them right no less. Reading between the lines who have written, on the one hand, you have said that Brexit was critical to save Britain, yet at the same time you said the pound would drop sharply. It seems as though you were forecasting the collapse of Brexit. My question now is, will the Tory Party even survive? ANSWER: The first thing you have to come to grips with is a computer is VOID of human emotion. Virtually all human forecasting has an inherent bias, for people will forecast what they want to see even if they do not realize they are doing so. To be correct, it requires extracting ALL human judgment and emotion from the subject matter. This is why I say people ask me what SOCRATES has to say – NOT me! That is the way it should be. I have to say that Boris Johnson’s comment that Britain is headed for the status of a “colony” is absolutely correct. There are “remainers” who have simply ignored ALL the economic data and will seriously end Britain as any sort of viable economy. Britain has ALWAYS been treated as a second-class European culture and it will end up subservient to that of the EU. It may simply be too much to expect rational political leadership any more from Britain. Instead of the cabinet stabbing the PM in the back as they did with Thatcher to also try to join the euro, this time it is the PM who is stabbing her cabinet and the people in the back trying to stay in the EU by pretending she is leaving. It may be just time to play the traditional funeral song and remove our hats. Let us look at the arrays. 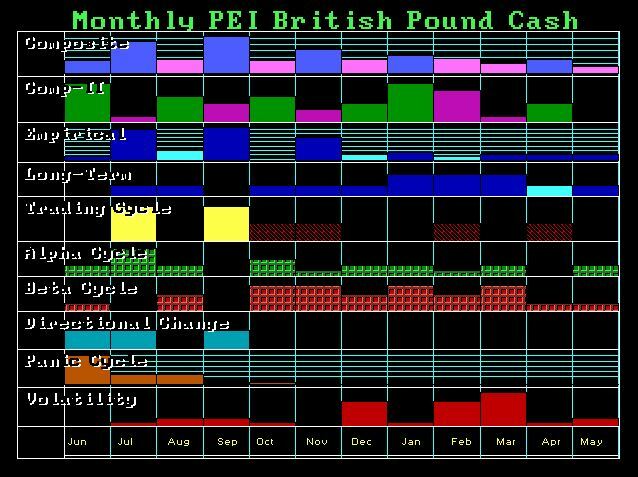 Here we can see that July has been the target in the pound. The next one will be in September. 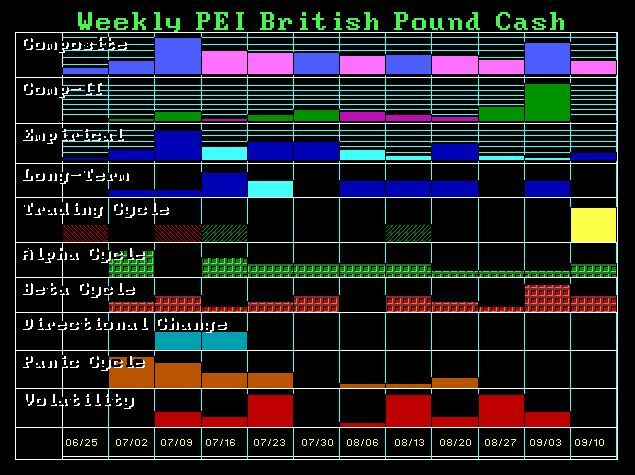 Now look at the Weekly Array – it picked this week. So how does the computer pinpoint these political events that align with the two people in BREXIT resigning? I “think” we have to flip the question. In other words, it is not the computer forecasting the resignation of David Davis, who was the top negotiator for BREXIT, and Boris Johnson. The forecast is that the pressure in the system reaches a state of change. The PM simply has been afraid to leave Europe listening to all the propaganda and the pleas from European politicians who will lose their jobs if the EU collapses. There are people now calling for Nigel Farage to return. Quite frankly, Nigel is probably the ONLY hope for Britain. Unless they cut the umbilical cord to the EU, Britain cannot possibly survive. Its economy has been sucked dry. Much of continental Europe secretly resents the UK and the USA for having to save them in two wars. Without the UK and the USA, they would all be speaking German by now. They will never say that publicly, but it permeates through every decision which seems to always be against the UK right down to punishing it for daring to want independence. 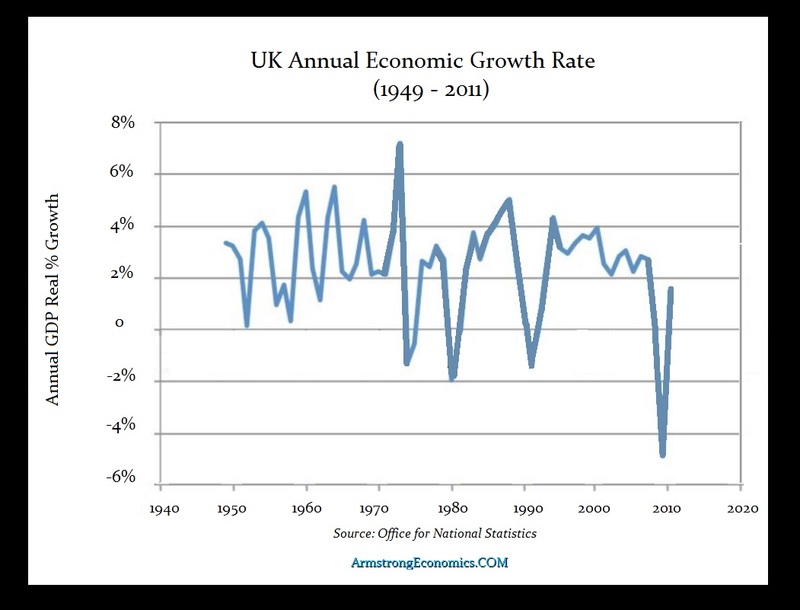 Here is what the UK economy really has done which NO politician will even look at no less any British newspaper would dare publish. This is the government’s own data. The economic growth of Britain peaked before it joined the EU and has declined steadily ever since. Britain loses EVERY trade argument in the EU Court. It is baffling how and why anyone would still think that staying in the EU is better. Since 1832, the two major parties have been the Conservatives (Tory) and the Liberals/Liberal Democrats. The Labour government emerged in the 1890s following Karl Marx. 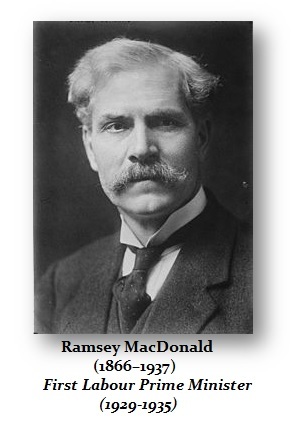 James Ramsay MacDonald (1866–1937) was the first British statesman to found the Labour Party, preaching Marxism, and he eventually became Prime Minister. His appointment created minority Labour governments in 1924 and in 1929–31. MacDonald then headed a National Government from 1931 to 1935 that was dominated by the Conservative Party which was supported by only a few Labour members. MacDonald presided at the World Economic Conference in London in June 1933. Nearly every nation was represented, but no agreement was possible. MacDonald pushed Marxism for the restructuring of Europe. American President Franklin D. Roosevelt refused to stabilize the depreciating dollar which was his policy – dollar devaluation. 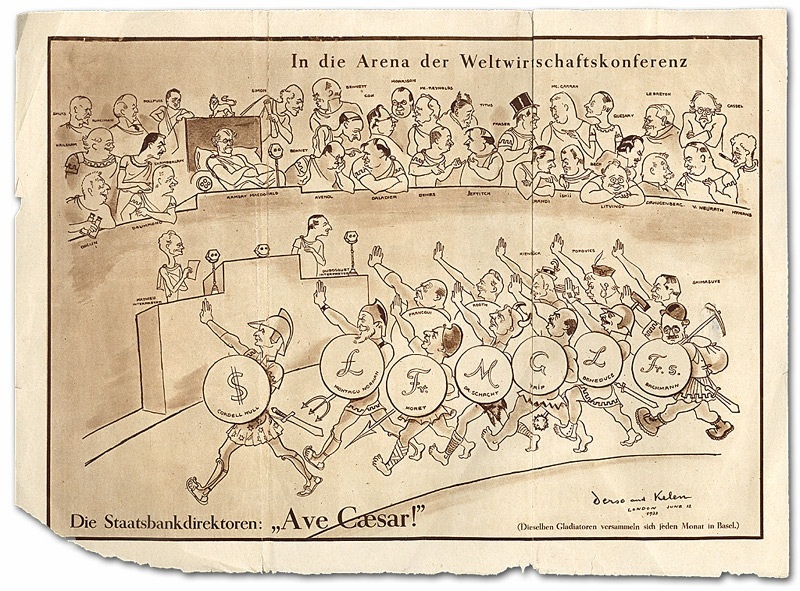 The failure of the World Economic Conference marked the end of international economic co-operation for another decade. MacDonald was deeply impacted by the rising anger and bitterness caused by the fall of the Labour government during the 1935 election. He increasingly became an isolated figure. The collapse of free trade initiatives led to the resignation of a leading Labour figure, Philip Snowden, in 1932 following the introduction of tariffs after the Ottawa Agreement, which was the British Empire Economic Conference (also known as the Imperial Economic Conference or Ottawa Conference) held in 1932. This was a conference of British colonies and the autonomous dominions held to discuss the Great Depression. It was held between July 21st and August 20th in Ottawa, Canada. MacDonald was later expelled from the party he had helped to found as he remained a staunch supporter of Marxism. 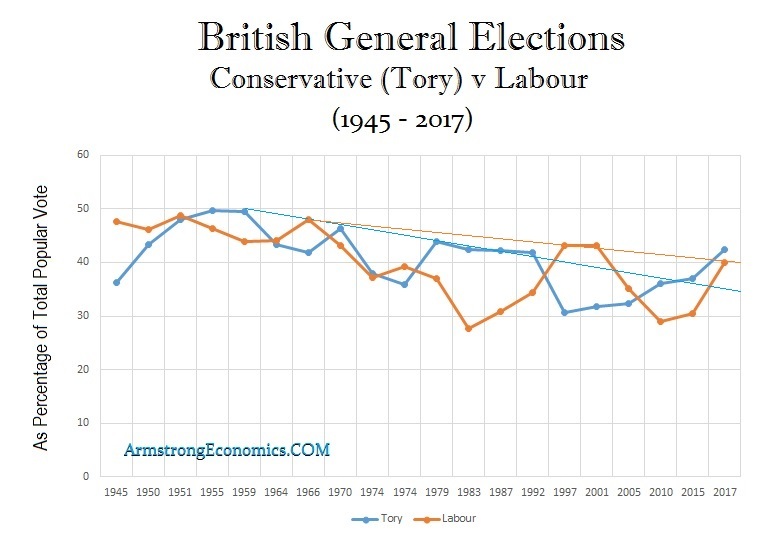 Since 1918, British elections have been dominated by the Conservatives and Labour. In 16 out of 26 general elections since 1918, the Conservative Party won most seats, while Labour won most seats on the other ten occasions. In all general elections between 1918 and 1945, the Conservatives received more votes than any other party (only in 1997 did they get less than 35% of the vote). Yes, there has been a conflict whereby the political models have shown that support for the Conservatives was beginning to decline. While Labour was rising, it appeared to be more of a reactionary trend. Even technically speaking, Labour retests the Downtrend Line whereas the Conservatives appeared to rally after the coup against Margaret Thatcher to take the pound into the euro. This is not the END of the Conservatives, but the PM has to realize that any concern about leaving the EU is absolutely stupid. Europe is tearing itself apart. Nigel Farage should step back in, but he has paid a high price personally for trying to save his own country. Personally, London to me is the most beautiful city in the world to live in. I lived there for about 5 years. So it pains me to see what is taking place to a place I always considered to be my second home.